Aeons ago, an eldritch cabal assembled themselves in the depths of a dead city and performed a ritual to nameless gods beneath stars younger than our own. Details of this rite have been mercifully expunged by entropic tides but it is known that they sought to bring about a prophet, a messianic wordsmith of such profound wisdom that the world would be forever changed. Alexander J Newall is not that person. He did, however, create Rusty Quill. Alex is a London-based writer, director and performer with several years’ experience working in live theatre and radio. 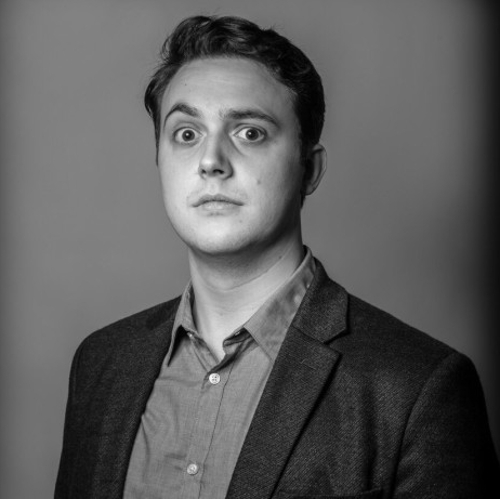 He’s worked as the director and story editor of the multi award-winning Casual Violence Comedy and performed regularly on the London Comedy circuit as an improviser in addition to working as a freelance writer and story editor. He’s available on Twitter as @AlexanderNewall and via email at mail@rustyquill.com.